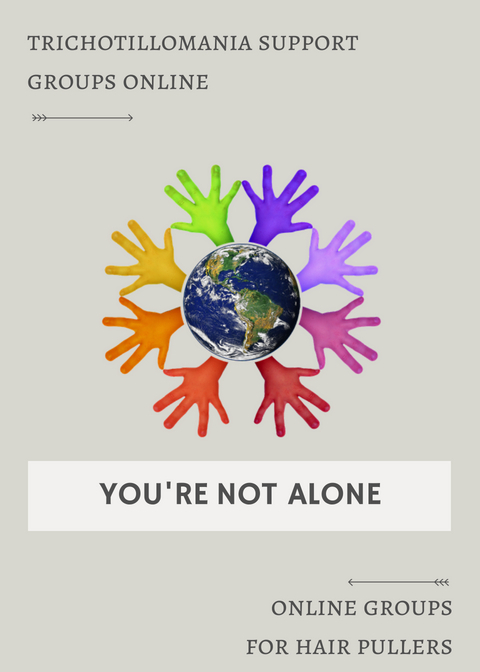 Find a Trichotillomania Support Group Online - You Are Not Alone! 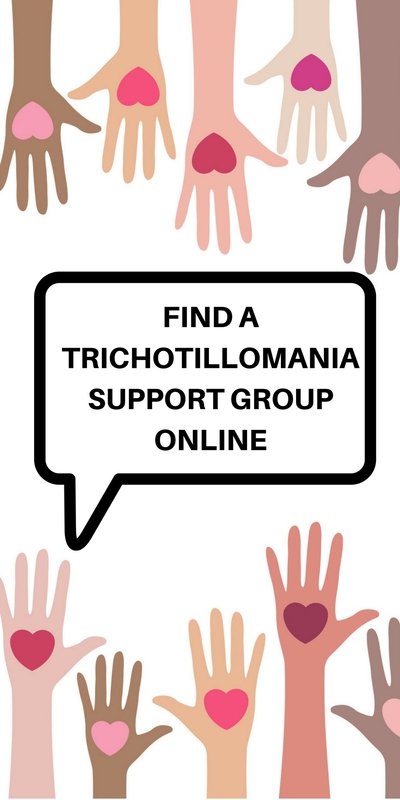 How To Find a Trichotillomania Support Group Online – You’re Not Alone! When I first found out that my hair pulling disorder was actually experienced by others, the first thing I wanted to do was find someone to talk to about it. Not a therapist or a doctor, but an actual person who had it. I knew I probably wouldn’t have much luck locally finding someone so I checked online. The first place that I went was to Facebook and began looking for communities with people who had trichotillomania. I’m already pretty well versed in Facebook and I knew that these sorts of groups probably existed because there’s a dang Facebook group for EVERYTHING (seriously, everything). 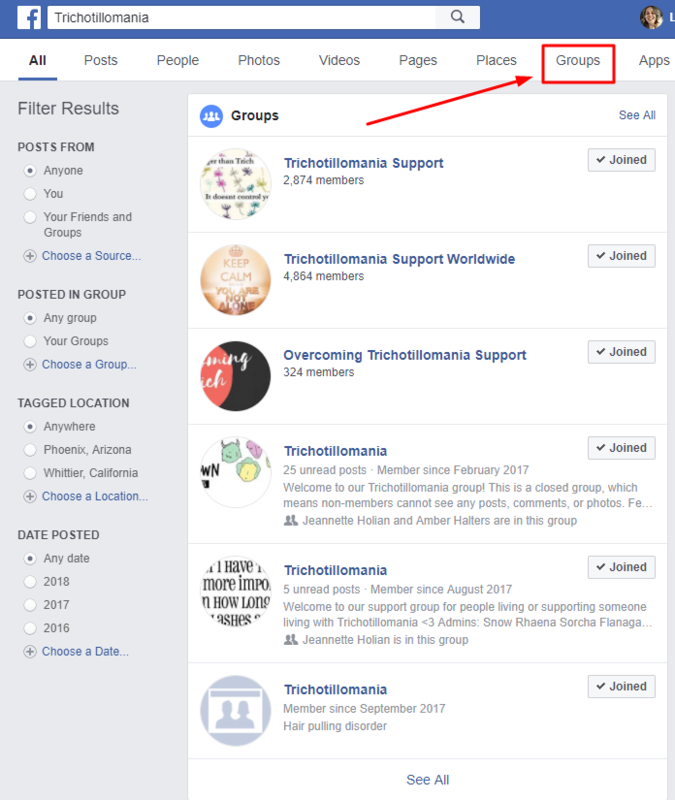 To find TTM support groups on Facebook, you simply need to go to Facebook and type in the keyword into the search bar ..
You’ll see a lot of things pop up, hit enter for an entire list of things on Facebook. Once everything pops up (it may look slightly different), select the groups tab. There are a lot of different communities and not all of them suited my personality type. I had to hang around and see which ones seem to fit me best. If you are looking for a BFRB support group, I think Facebook has a lot of great options to pick from. Last year I created my own Facebook group with a woman named Mai Mai, she’s been trich-free 12+ years. I had met her in another group and we instantly made a connection. Hanging out in these groups really helped me because I was able to see that I wasn’t alone and that other people had the same struggle. 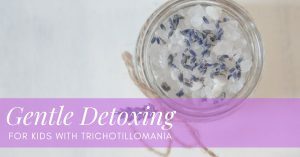 It was in these groups that I learned about a lot of the trichotillomania products that have helped me over the last year. I will warn you that there can be some negative things that go on in some of the groups because you’re dealing with hurting people. If I could give one piece of advice before joining these groups it’s to remember you are not anyone else. Their situation is not a reflection on yours or the outcome you will experience. 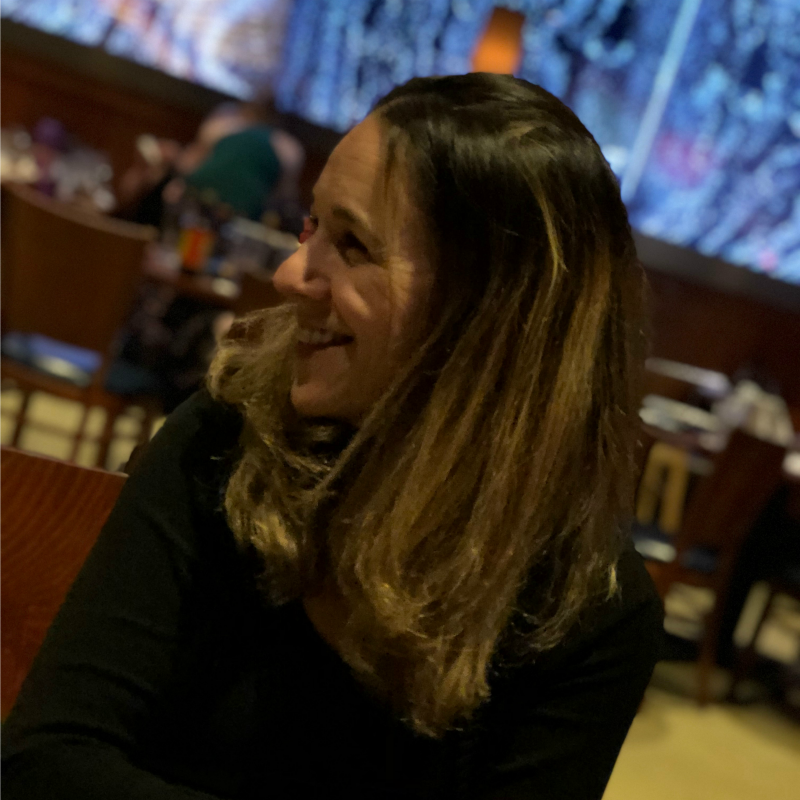 There are some great conversations that take place, interesting products and articles that are shared and a large community of very loving people who all want to belong. 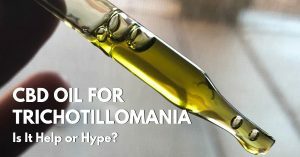 For the most part, I love Facebook communities and they have been an huge help in overcoming trichotillomania. DailyStrength.org has been around forever.. I found them doing some organic searches on the internet. They have different communities for support and they have specific ones for Trichotillomania. As you can see from the list below, there’s also a skin picking support group too. A lot of our BFRB’s go hand-in-hand (that’s pun-ny). I like Facebook better because I get more interaction and faster responses, almost like a chat room but this is a cool forum too. 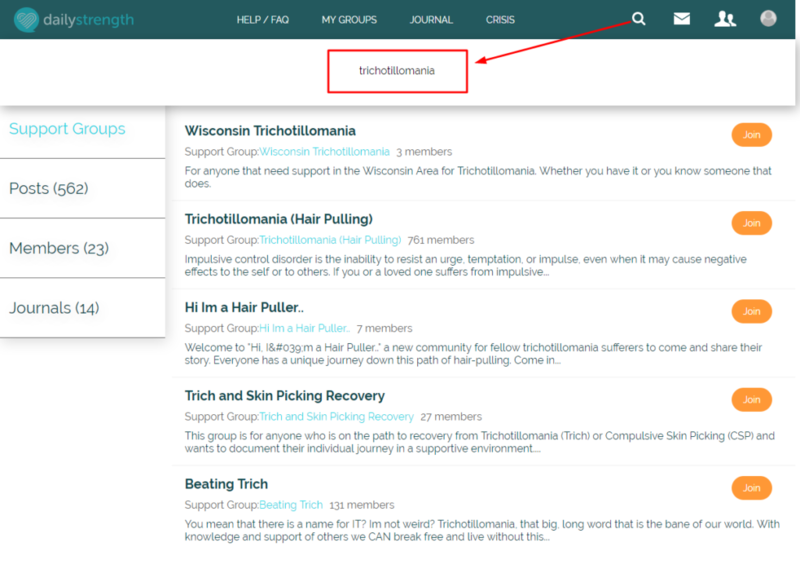 To look for trichotillomania support online at DailyStrength, you simply type the keyword into the search bar. You will need an account there, just like Facebook. 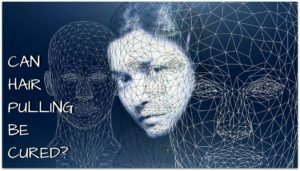 TLC (Trichotillomania Learning Foundation for BFRB’s) is has their own online support groups and most of them are on Yahoo groups. These groups are moderated by TLC, they are the leader in trichotillomania support without a doubt. They have different online support group options on their website. A lot of TLC support groups are hosted on Yahoo’s group platform (although there are others too). TLC has trichotillomania online support groups for parents, teens and adults. There’s a ton of resources on their website along with the support group options. If you’re a parent, definitely hook up with TLC, they’ve got the best resources. 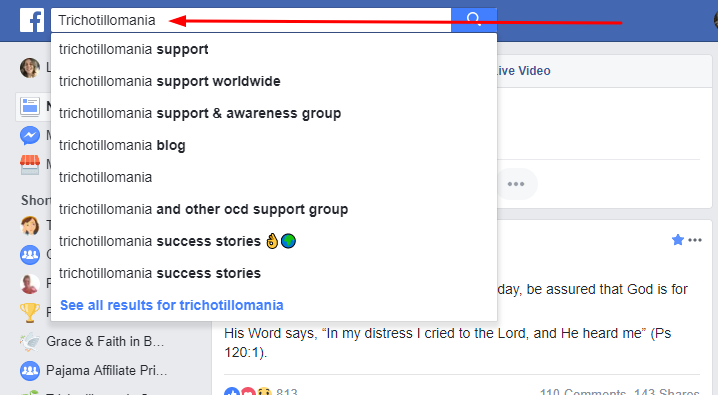 As I find more online support groups for trichotillomania, I’ll keep updating this list, but right now I think these are the best options available. 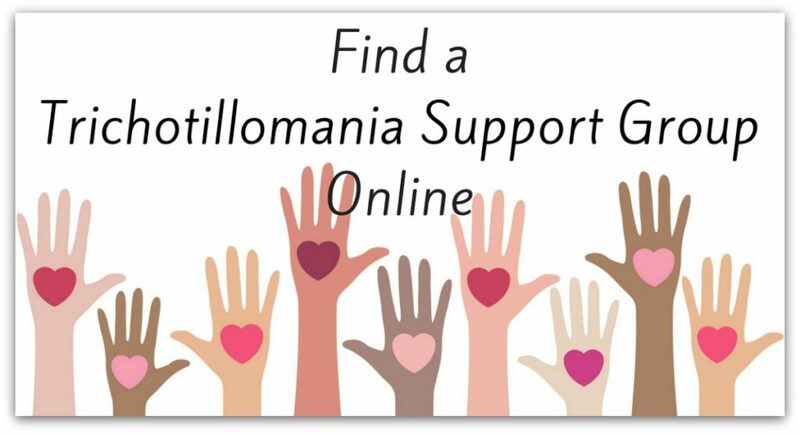 If you know of anymore online support groups for trichotillomania, please drop me a comment and a link.